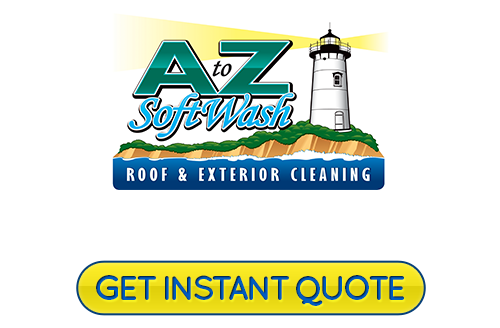 Powerwashing and pressure washing have been performed by professionals for many years, and has been the go to method of cleaning for many applications. It basically uses brute force to get the job done, by putting pressure behind water. This is the same principle that created the Grand Canyon! The biggest flaws are that this method can cause damage and erosion (same as how the Grand Canyon was formed). Another huge flaw is the longevity of results due to the fact that all you are essentially doing is moving live algae and bacteria growth around at a fast rate of speed. The fact is that if you want long lasting results you are going to have to actually treat the surface, not just use water to make it look clean for a while. SoftWashing is just the opposite of pressure washing. The average commercial pressure washer puts out PSI’s of over 3500, while our 12 volt system puts out a max PSI of 70. 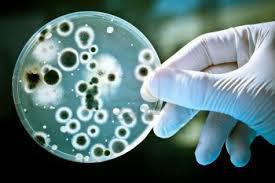 We utilize biodegradable chemicals to treat the issue at the roots. Once we treat any surface any and all growth will be dead at the roots, which will ensure you the longest lasting results possible. Some surfaces like cement and brick pavers will still benefit from some cautious use of pressure but that is about it. It is foolish to ever use any pressure above 70 PSI on any surface of your home whether you have a cedar roof, asphalt, tile, metal or even slate. AS far as siding goes it’s the same whether you have cedar, vinyl, painted or not painted, stucco and EIFS. Some of the old school guys just can’t let go because change is hard for some. They even say that they use biodegradable chemicals and give it a “low pressure rinse”. This makes no sense. If they used the right ecofriendly yet effective chemicals no pressure would be required to “rinse”. 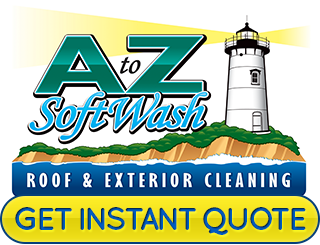 If you are looking for a professional for pressure washing in Cape Cod, MA, then please call 508-209-7795 or complete our online request form.